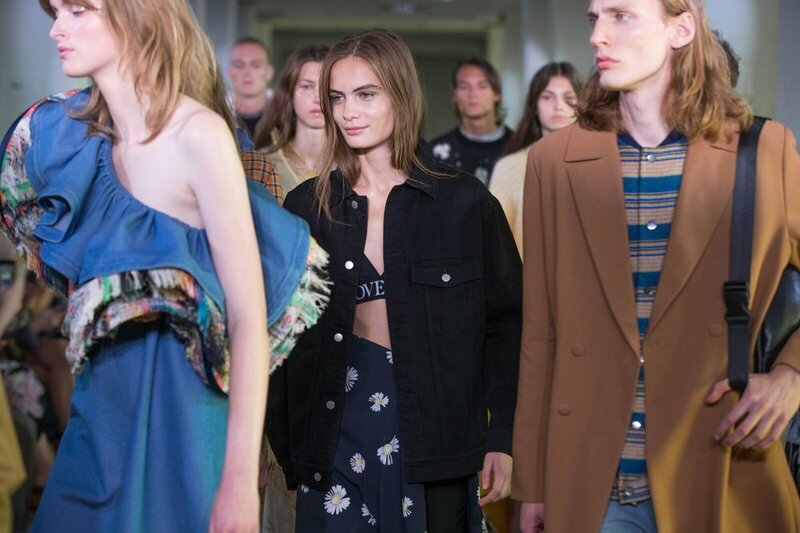 Copenhagen Fashion Week is well underway, and with it Norwegian fashion brand Holzweiler’s debut on the international fashion scene. As its own brand, Holzweiler’s flow has been steady ever since they launched their first luxury scarfs in 2012. By that time, the family driven company had long been a successful fashion agency. The scarfs, however, marked a new era, and the road to their first complete clothing collection should prove to be fairly short. After American super model Gigi Hadid was depicted last year wearing an orange Holzweiler hoodie, the attention towards the brand skyrocketed. Yesterday, at Centralpostbygningen, they entered the international scene with a boom. With super model Erin Wasson—who was flown in for the occasion—fronting the runway show, and with renowned German fashion personality Veronika Heilburner as their stylist, Holzweiler managed to leave a solid mark, turning the heads of international agencies, prominent fashion profiles, bloggers and international press alike. 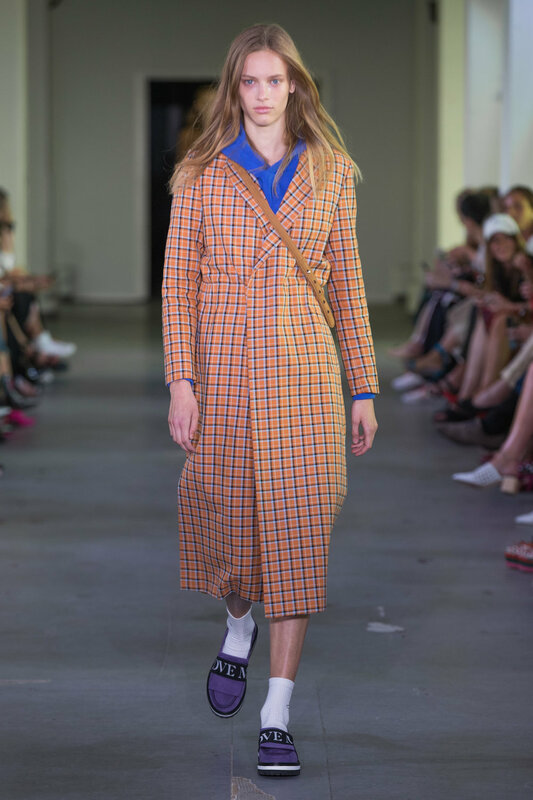 The inspiration for their latest collection was drawn from vintage shops and in their friends' and parents' closets. Wanting to take a stand on consumerism culture, the collection is also inspired by the older generations approach to taking care of and preserving clothing, ultimately aiming for a collection that will stand the test of time, both in terms of style and quality.